Treatment for acne scars, acne scarring, scars, sun damaged skin, pigmentation (melasma or chloasma), wrinkles, improving skin texture, skin rejuvenation, skin tightening, lines around and under eyes/ neck/ chest/ décolletage, arms and hands. 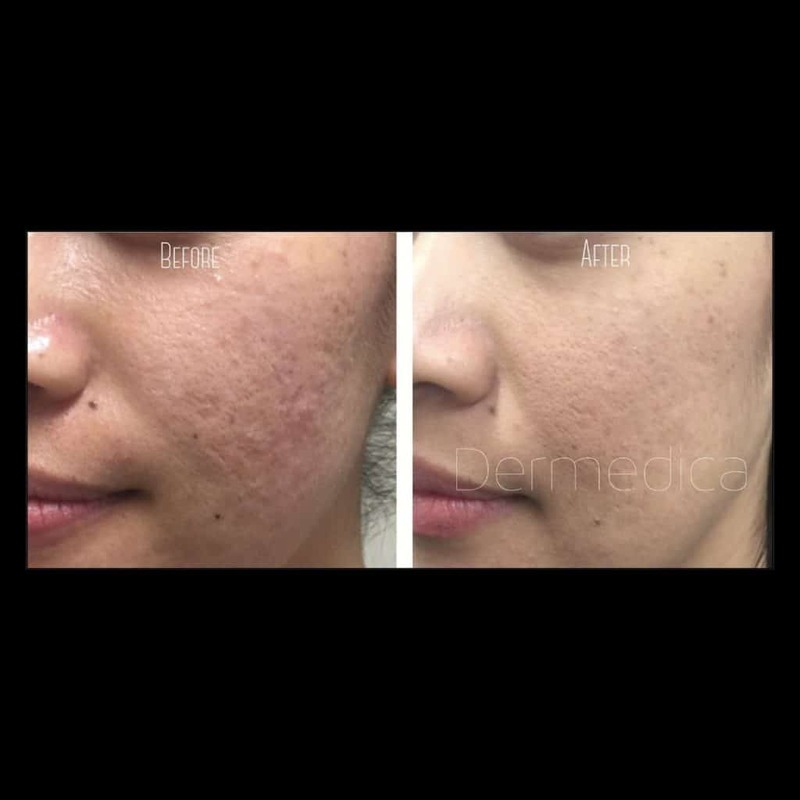 Dermedica provides clients throughout Perth, Karrinyup, Claremont and surrounding areas with fractional skin resurfacing, an all-in-one dermatological treatment for your skin. If you’re thinking of ways to reduce unwanted wrinkles, acne scars and other imperfections, skin resurfacing may be the ideal solution for you. A non-invasive, cosmetic procedure, fractional skin resurfacing uses the latest technology to improve the look and feel of your skin, while also minimising your recovery time. This gentleman was concerned about his deepening acne scars on his forehead. Dr Teh perform a series of fractional resurfacing treatments and 1mL of filler to smooth out the acne scars. He is now not as self conscious about the appearance of his forehead. A non surgical alternative to eyelid surgery using fractional resurfacing to improve the skin around the upper and lower eyelids. If you hate the wrinkles on your forehead, we have a simple solution to reduce your forehead lines within days. Using a wrinkle relaxer strategically placed in the muscle under the careful eye of Dr Teh, you can achieve a natural looking result without looking frozen. 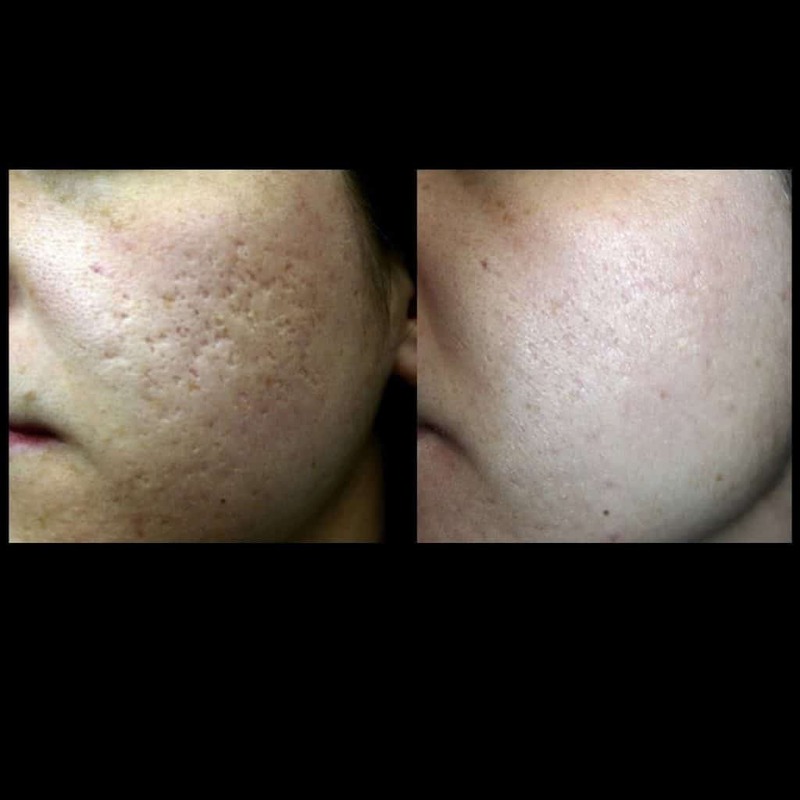 Deep acne scars can be improved using fractional resurfacing. Other benefits include reduce pore size, tighter looking skin and clearer skin tone. Skin resurfacing is the process of ablating and regenerating layers of the skin to improve collagen production. Benefits include reduced pore size, tighter looking skin and a clearer, more even skin tone. It can be performed in a number of ways, although some are more invasive than others. 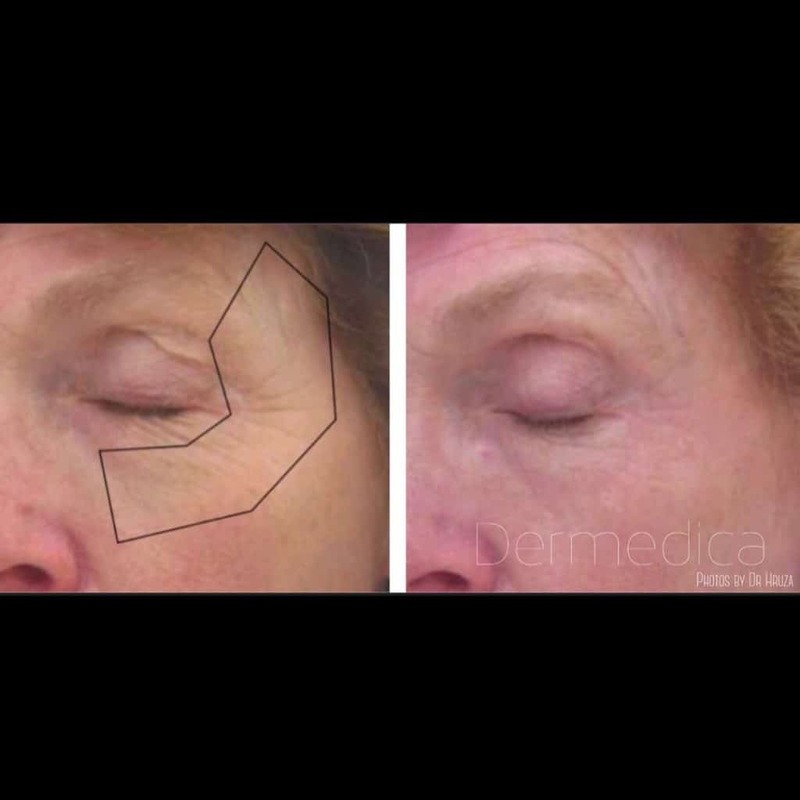 At Dermedica, our qualified doctor performs fractional skin resurfacing using radiofrequency. By using this method, we are able to obtain better results with shorter recovery periods for our clients. In most cases, fractional skin resurfacing requires preparation of the skin prior to treatment. This involves clients avoiding the use of sunscreens, topical retinoids or topical lightening agents to reduce the risks of unwanted pigmentation changes. After the procedure, we recommend avoiding the sun during the recovery period to enhance your results. 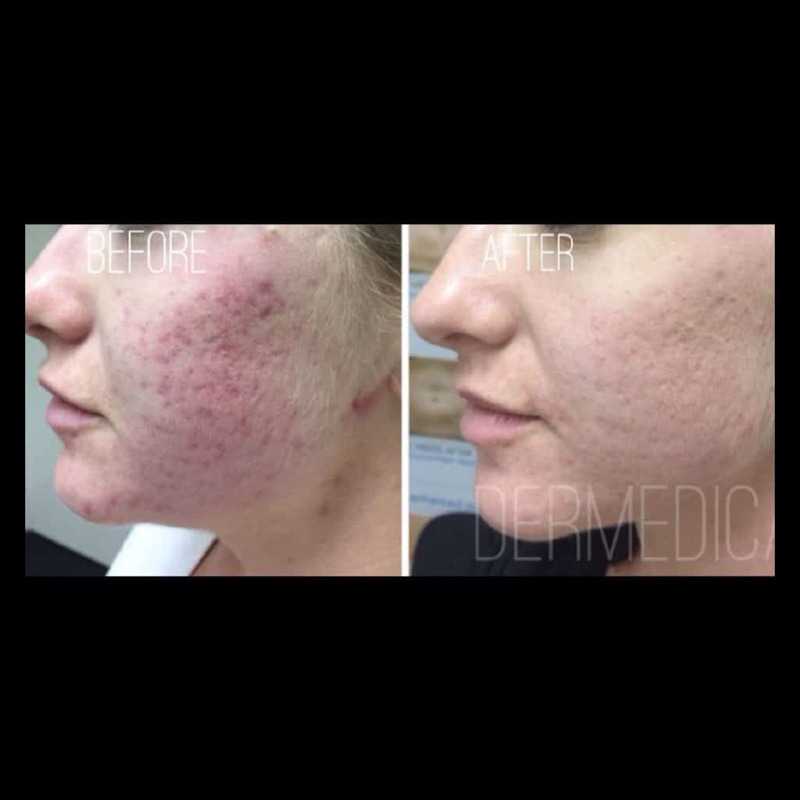 Get a brighter, more even skin tone with fractional skin resurfacing with Dermedica. Our clinic is based in Scarborough, only a short drive for Claremont and Karrinyup locals. Our experienced doctor in non surgical cosmetic treatments, Dr Joanna Teh will be with you every step of the way, from the initial consultation through to your aftercare. Before beginning any treatment, she will complete a thorough examination and advise you on the appropriate procedures for your condition. She can also advise of additional laser procedures, including those for rosacea treatment and freckle removal. To make an appointment, you can contact our clinic by calling us directly on (08) 9205 1995 or by making a booking online. What is the difference between Fraxel™ and Fractional Resurfacing? What can Fractional resurfacing treat? Which area can be treated with fractional resurfacing? What are the benefits and results of Fractional Resurfacing? Are there any side effects of fractional resurfacing? How long is the session, and how many fractional resurfacing do I need? What do I look like immediately afterwards and a few days after the treatment? How long does it take to notice results, and how long do results last? How much downtime is there with fractional resurfacing? What are the benefits of fractional resurfacing? Fractional resurfacing uses patented radiofrequency technology to resurface and tighten your skin, treating wrinkles and removing acne scars. Tiny points in your skin called “Microthermal Treatment Zones” are treated so as to trigger skin regeneration, as well as new collagen production and regrowth. This treatment can result in a clear and brilliant complexion that you’ll love. 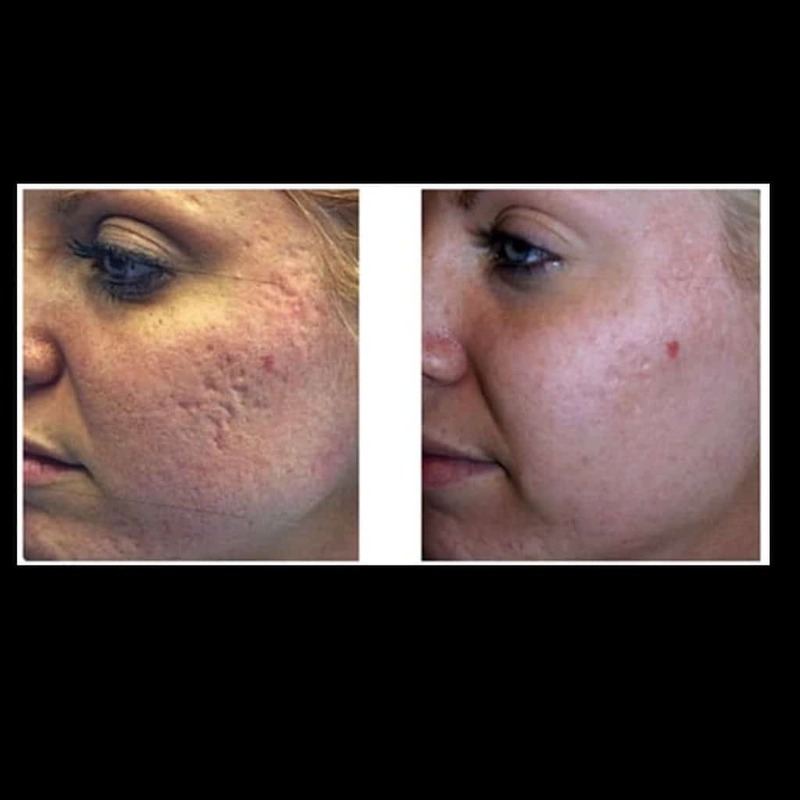 Fraxel™ is one brand of fractional resurfacing technology using laser based delivery method. 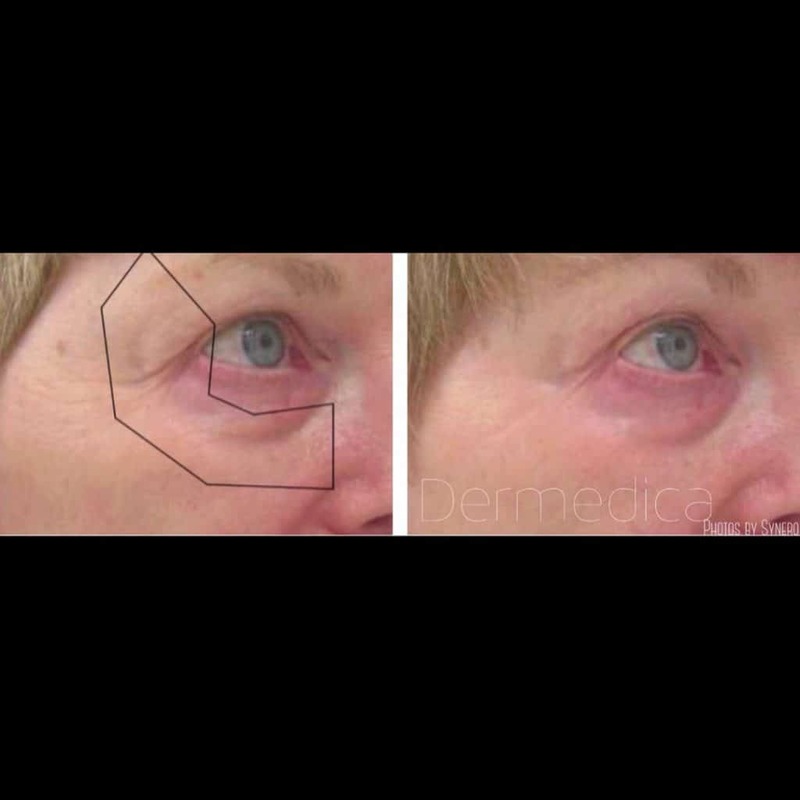 Dermedica’s fractional resurfacing of choice is a technology using radiofrequency to create micro thermal zones. This fractional resurfacing technology causes a diffused impact in the deeper layers of the skin. The result is minimal inflammatory effects on the superficial layers of the skin, quicker recovery time and reduced side effects. 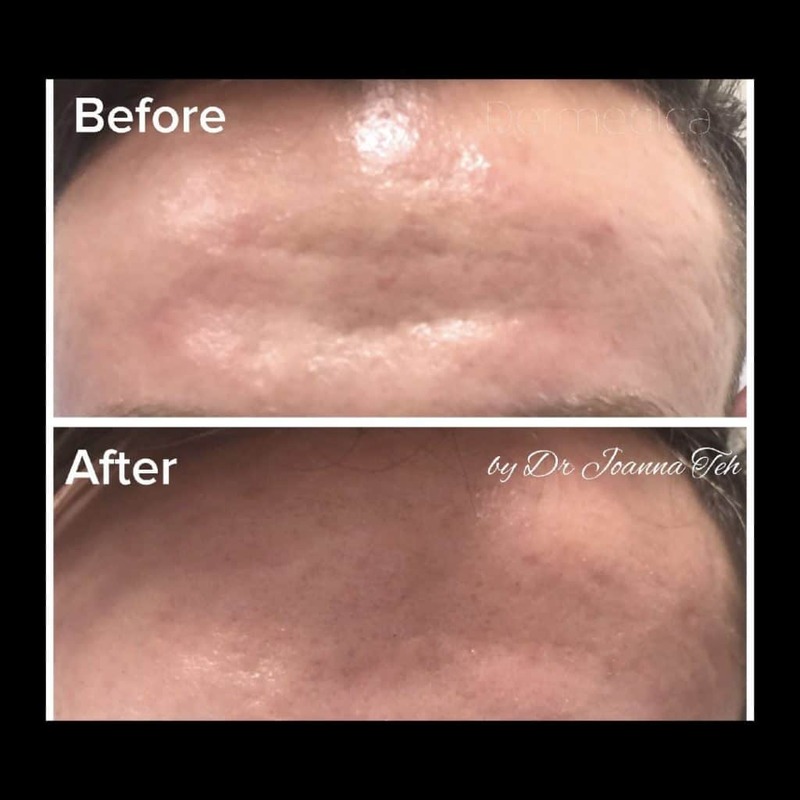 Fractional resurfacing has multiple uses, and all will ensure firmer, fuller skin with reduced wrinkles and sagging, and a smoother regenerated skin surface. Now, you have the chance to get back your clear and brilliant skin! 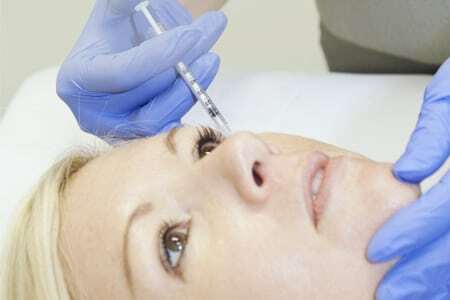 It’s a popular treatment for acne, and also widely used for wrinkles and scar removal in Perth. Fractional resurfacing uses a patented radiofrequency technology that treats the skin in tiny points spaced out in a fine grid like the pixels in an image from a digital camera. These treatment points (called “Microthermal Treatment Zones”) trigger skin regeneration, as well as new collagen production and regrowth while the surrounding untreated area maintains the skins stability for support and accelerates the healing process. It rejuvenates the skin from the inside out to replace the old damaged skin with healthier fresher looking skin. The result is firmer, fuller skin with reduced wrinkles and sagging, and a smoother skin surface. It can be used on the face or body, but is most commonly used on the face and neck. Improve irregular skin texture and even out tone. 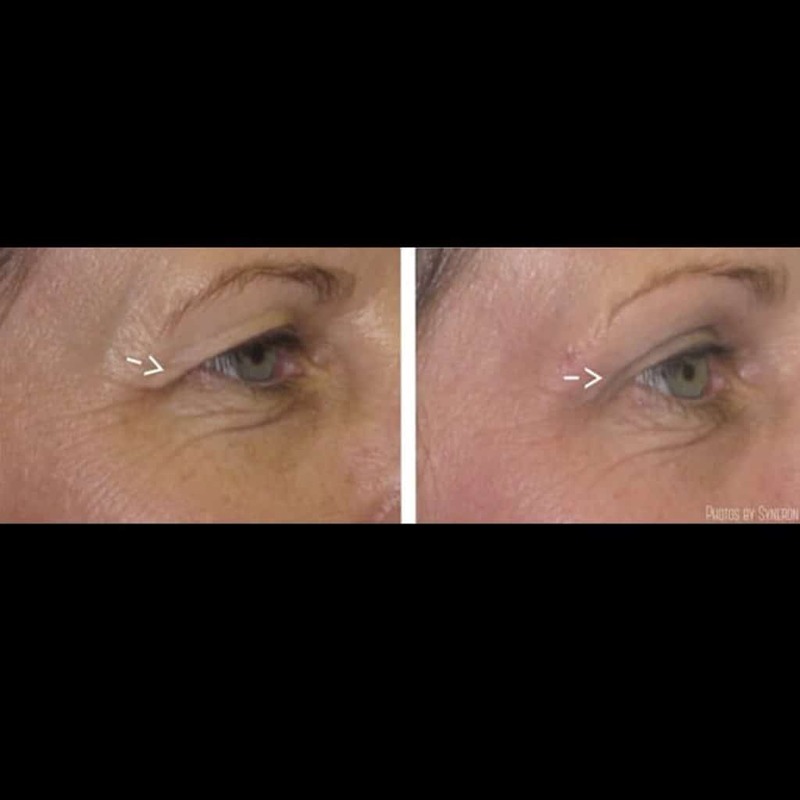 Fractional ablative radiofrequency skin resurfacing treatment results in less downtime and less pain than laser resurfacing treatments such as FraxelTM repair. You may have some redness, and feel a slight burning sensation post-treatment but this will disappear within a few hours. Post-inflammatory hyperpigmentation and scarring, is extremely rare with this technology. Although side effects and complications are not common but it may occur. It is important to have a thorough discussion with an experienced cosmetic doctor before you proceed to assess risks and side effects. Contact Dr Teh on [email protected] or 92051995 to get more information. The duration of each treatment and the number of treatments required depends on the surface area and the severity of the skin condition. For more information contact Dr. Joanna Teh: [email protected] or call 92051995. Immediately after the treatment, your skin will be red and feels sunburnt. Some people may get a mild swelling for 1-3 days. The recovery time is usually a weekend downtime. After 24 hours you can coverup with makeup. Almost all of our clients resume their daily activities after 24-48 hours. There are individual variations to your recovery period depending on your skin sensitivity. There are individual variation on results on depending on your expectation, skin type and external factors that effects the skin. For example, this can include sun exposure, smoking, skincare regime. Often it takes a few weeks to a few months to achieve result. As with all medical procedures, individual experiences will differ. It is important to have a thorough discussion with an experienced cosmetic doctor to assess your expectation and result. Contact Dr Teh on [email protected]ca.com.au or 92051995 for more information. In general, the downtime is less than traditional laser resurfacing. Most patients can return to work within 2 to 3 days. The degree of downtime depends on the intensity of the treatment and you skin sensitivity. As with all medical procedures, individual experience will differ. It is important to have a thorough discussion with an experienced cosmetic doctor before you proceed to assess your suitability. There will be some heat sensation during the treatment. Topical anesthesia can be applied to reduce any discomfort. You can find out more about Dermedica and what we do here.